AGOO, La Union – Farmers living along the river in Aringay and a non-government organization have filed a case at the Regional Trial Court, Branch 31 here seeking a ‘temporary environmental protection order’ (Tepo) to stop the ongoing construction of a P240 million hydro power plant in Barangay Halog East, Tubao town. The farmers and Aringay Development Coordinating Team represented by their counsel, Lawyer Charlie Juloya, alleged that the management of Tubao Mini-Hydro Electric Power Corporation (TMHEC), violated several environmental laws in constructing the project that would endanger the lives of the residents along the river. “We filed the case because farmers and residents of Aringay were not consulted about the project, “Juloya said. “There are violations in the ‘environmental compliance certificate’ (ECC). 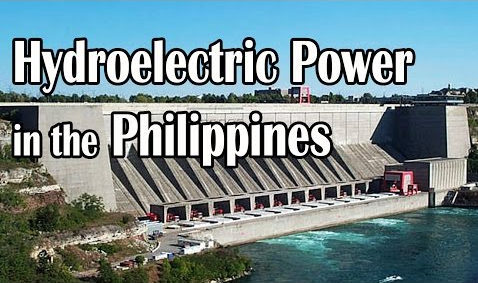 Instead of a 10-meter high diversion run-of-river, the project became a 25-meters high impounding dam and instead of a 1.5 megawatt it is now designed for a 3-megawatt hydro-power plant,” Juloya said. Juloya said the project will cause flooding and would affect around 6,000 farmers because it will hold waters for the irrigation of vast farm lands in the second district of La Union. The complainant also alleged that the project is being built near an earthquake fault line and it lacked the ‘environmental impact assessment’ needed before its construction. However, TMHEC, represented by Dr. Rafael Valdez, denied all the allegations citing that they have complied with all the requirements before the start of the construction of the project, a public, private partnership. Valdez clarified that the project’s description cited in the ECC issued on June 1, 2015 is a 1.5 megawatt hydro-power plant consisting of a run-of-river diversion dam, desilting basin, powerhouse, conveyance structure, single type 1.5 turbine and other support facilities. The height of the structure is about 20 meters and not 25 meters. “All the volume of water that will be impounded in the dam will be used during start-up operation and all the water shall go out of the dam and into the river stream in the same quantity and same form of substance. There could be no adverse effect to irrigation waters and no adverse effect to the farmers,” Valdez said in his reply to the complaint. Valdez added that the project will not cause danger because there were geology, hydrology, flood and earthquake analysis conducted because they are primary requirements before it (project) could be approved by the Department of Energy.